Home Natural Remedies What Happens To Your Body If You Drink Apple Cider Vinegar Before Bed Time? What Happens To Your Body If You Drink Apple Cider Vinegar Before Bed Time? Apple cider vinegar (ACV) is a superfood that offers many health benefits. It has a pungent and intense taste that is famous among health food enthusiasts. It has been used for a number of recipes from pickles to pie and salad dressing. Due to its pretty strong taste, you can mix ACV with water or some nighttime tea. Actually, there are plenty of other options to consume it. Drinking it before you go to bed at night has been found to stabilize blood sugar levels and ease acid reflux. Here is the list of health benefits you can obtain from consuming apple cider vinegar before bedtime. Bad breath is caused by the abundance of bacteria in your mouth. ACV will kill these bacteria and keep your mouth fresh during the night. Leg cramps are most likely caused by a lack of potassium. ACV contains good amounts of potassium that will restore your body’s balance. Mix 2 tablespoons of ACV with a glass of warm water and drink it before bed each night to reduce cramps. Studies show that ACV can prevent the accumulation of fat. It was found to reduce appetite due to pectin content which makes your brain feel more satisfied. Instead of eating chocolate bars and cookies, mix one teaspoon of apple cider vinegar with a cup of water and drink it. ACV has natural anti-bacterial properties and it creates an acidic environment wherein the bacteria responsible for sore throat can’t thrive. An hour before bed, dilute one teaspoon of ACV in a glass of warm water and then drink it. Half an hour later, take another spoon. When you wake up in the morning, you should start to feel a bit better. Apple cider vinegar lowers blood sugar levels by increasing insulin sensitivity. If high blood-sugar levels are a problem for you, try to consider taking two teaspoons of apple cider vinegar straight before bed each night. However, if you are on diabetes medication, consult with your doctor before using this remedy. According to health professionals, ACV can combat nausea and indigestion. 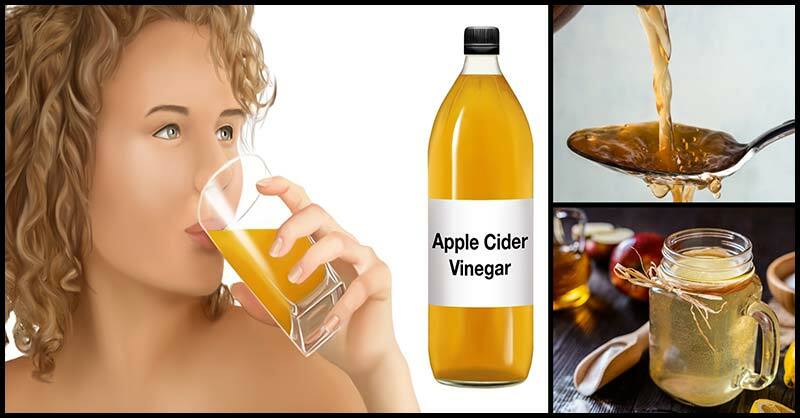 All you have to do is to mix one teaspoon of apple cider vinegar and honey each in a glass of warm water. Drink the mixture 30 minutes before bed. Acid reflux occurs when you have too little stomach acid. Due to this, you may have trouble fully digesting foods. Also, your body’s ability to eliminate harmful bacteria in your gut is affected when you have low stomach acid. In order to restore your stomach’s acidity, simply mix one tablespoon of ACV with a large glass of water and drink an hour or so before bed. Pour half a teaspoon of ACV in an eight ounce of water and mix well. You can sweeten the drink by adding a teaspoon of honey. You need to drink the mixture at least one hour before you go to sleep at night. Through this, you don’t wake up in the middle of the night with a full bladder. Always remember to consult first your healthcare professional if you wish to try these natural cures.